Universal Credit plans were driven by an ambitious timescale, and this led to the adoption of a new approach. The programme suffered from weak management and ineffective control. The National Audit Office has concluded that the Department for Work and Pensions has not achieved value for money in its early implementation of Universal Credit. The Department is not yet able to assess the value of the systems it spent over £300 million to develop and has been forced to delay the national roll-out of the programme to claimants. Today’s report concludes that the Department was overly ambitious in both the timetable and scope of the programme. The Department took risks to try to meet the short timescale and used a new project management approach which it had never before used on a programme of this size and complexity. It was unable to explain how it originally decided on its ambitious plans or evaluated their feasibility. Given the tight timescale, unfamiliar project management approach and lack of a detailed plan, it was critical that the Department should have good progress information and effective controls. In practice the Department did not have any adequate measures of progress. In early 2013, the Department was forced to stop work on its plans for national roll-out and reassess its options for the future. The programme still has potential to create significant benefits for society, but the Department must scale back its delivery ambition and set out realistic plans. Over 70 per cent of the £425 million spent to date has been on IT systems. The Department, however, has already written off £34 million of its new IT systems and does not yet know if they will support national roll-out. The existing systems offer limited functionality. For instance, the current IT system lacks a component to identify potentially fraudulent claims so that the Department has to rely on multiple manual checks on claims and payments. Such checks will not be feasible or adequate once the system is running nationally. Problems with the IT system have delayed national roll-out of the programme. 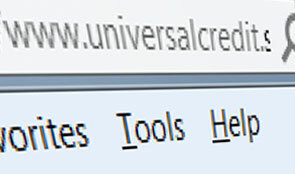 The Department will not introduce Universal Credit for all new claims nationally in October 2013 as planned, and is now reconsidering its plans for full roll-out. Instead, it will extend the pilots to six more sites with these new sites taking on only the simplest claims. Delays to the roll-out will reduce the expected benefits of reform and – if the Department maintains a 2017 completion date – increase risks by requiring the rapid migration of a large volume of claimants. The spending watchdog found that the Department took some action at the end of 2012 to resolve problems, but was unable to address the underlying issues effectively. The source of many problems has been the absence of a detailed view of how Universal Credit is meant to work. In addition, poor control and decision-making undermined confidence in the programme and contributed to a lack of progress. The Department has particularly lacked IT expertise and senior leadership, with frequent changes in senior management.